This post is for Economics PhD students, with instructions on how to find and book carrel space on the 11th floor. We are using the A&S-wide calendar room booking system. However, only Economics PhD students are allowed to book these 11th floor carrel spaces. Log into rooms.asit.columbia.edu – please click the “login with google” button, and use your UNI@columbia.edu address to authenticate using your uni/password. Easiest is to browse the spaces by weekly view, and scroll until you find a space that is available during the time you want it. Click the blue “plus” button on a day with zero bookings. 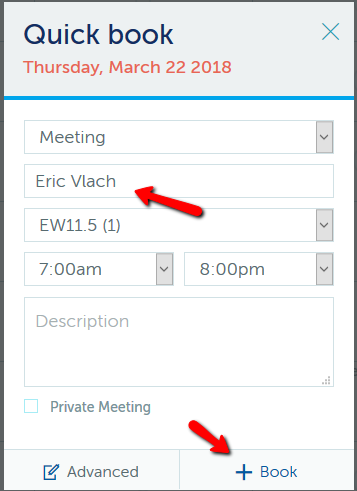 Fill in your name under “Meeting Title”, and select the hours you will be using it (most likely the whole day), and then click “book”. That’s it! You are automatically approved for the space. If there is an unforeseen conflict, the owner will contact you by email. 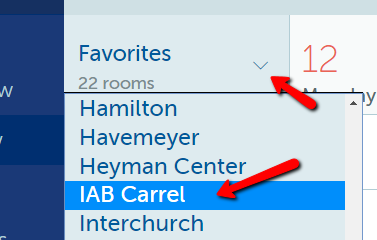 Alternatively, you can search for space on a specific date – use the “search room” feature, choose “IAB Carrel” in the location, and I recommend changing the duration to something larger than 30 minutes, and times to between 7am-5pm, otherwise you may get results of space available for 30 minutes, from 11:30-midnight.